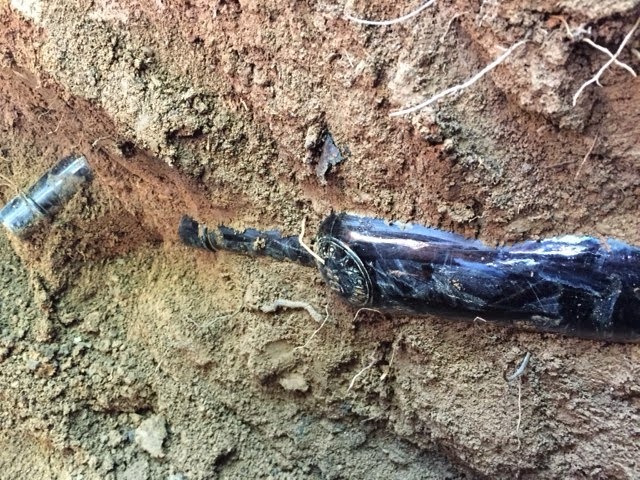 Here's a couple of pictures of a recent find from an anonymous email I received this morning. Is that what I think it is? Yep, it sure is! A crown shoulder J.H. Cutter fifth! WHOA!.............Make that two Crown Shoulder Cutter's in this pit.... DOUBLE the fun! 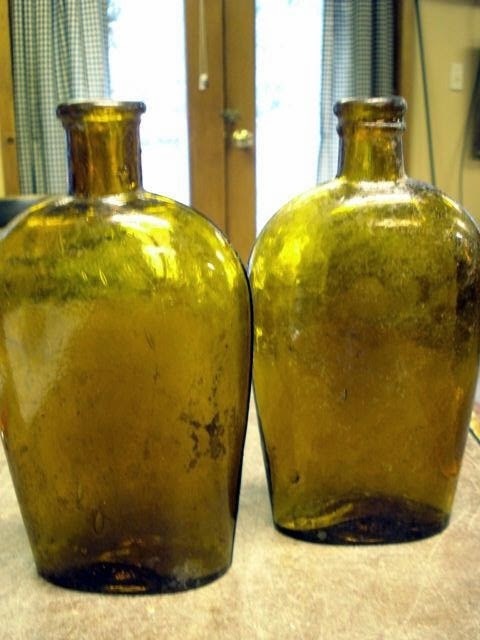 Here are two recently dug western flasks that came out of the same pit. As you can see both flasks are from the same mold but have different top treatments. Both flasks came out of the same glass house but may have been finished by different workmen. Yep....they both have the "western" star and both flasks do have some ground stain. 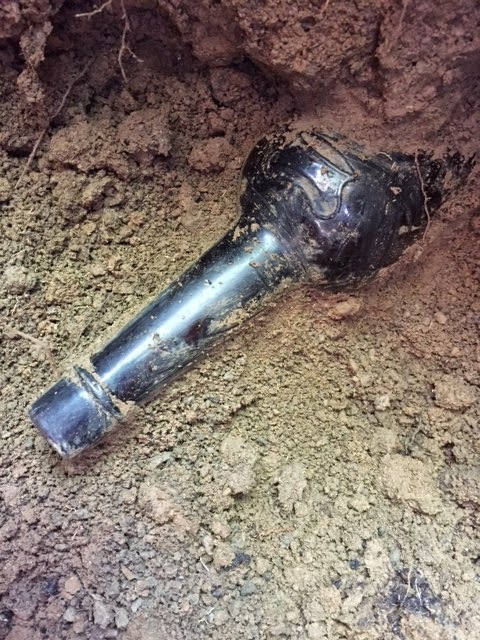 Sparkling out of the ground western glass....Nope! Anyone out there have any star base flasks? 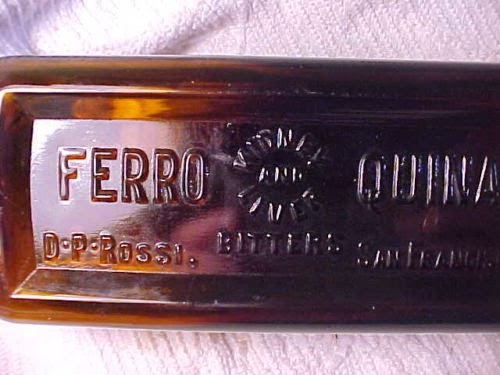 As you would expect after a Ferro Quina Bitters sold on ebay for over 2K up jumps another. Here is the scoop! 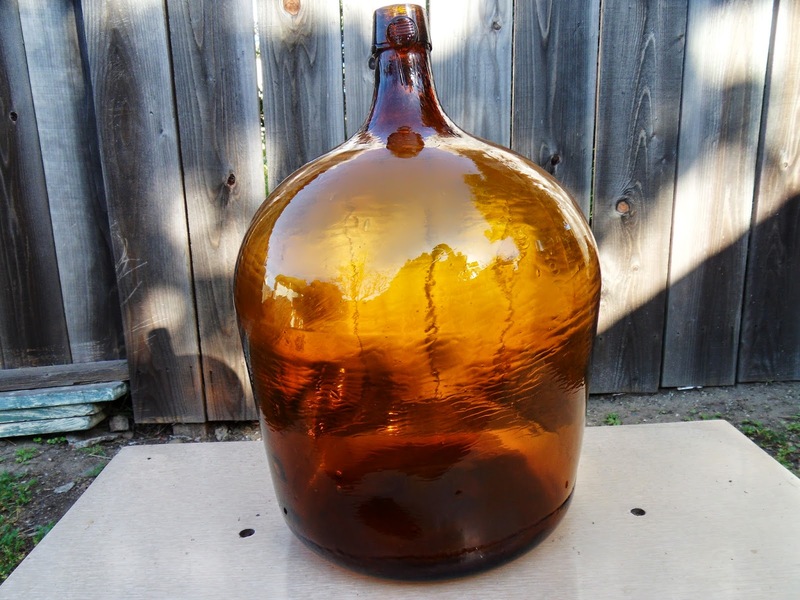 Bottle find in Northern California in a consignment shop. 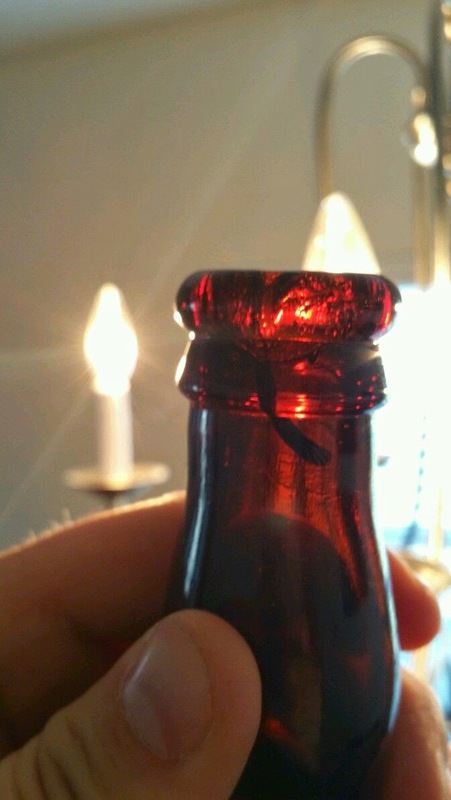 Bottle was obviously dug recently. There was still dirt in the neck which had not been cleaned out! The digger (unknown) consigned the lady's leg fifth and was described as a young man. I'm pretty sure he had no idea of the importance of the find, or it's value. 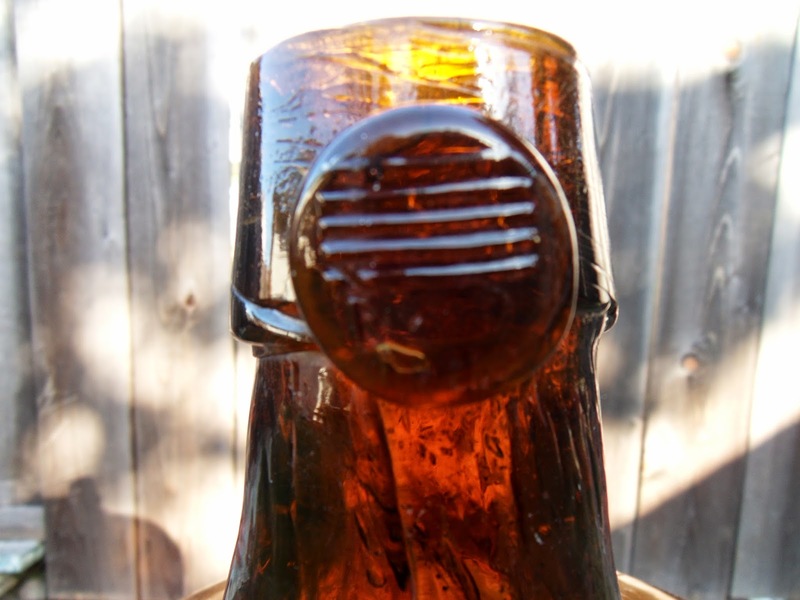 I have dug bottles for over 40 years and never ever as much as seen broken pieces of a Mills Bitters. I'm still pinching myself to have a nice find as this on my shelf! Hope this poor person, that gave away this mills, soon joins a bottle club and learns about western bitters. Wilsons' book places this bitters as made in 1874. 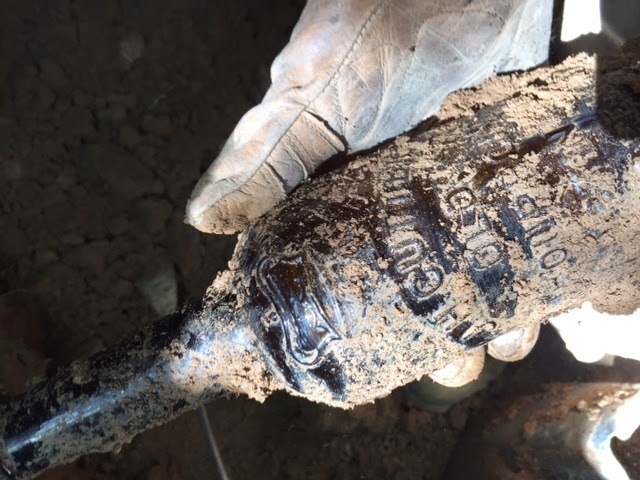 The bottle shows very little staining and will remain as found.Further research indicates the most specimens being found are in Arizona and all are in need of professional cleaning. Only a few Mills Bitters have been dug in California. 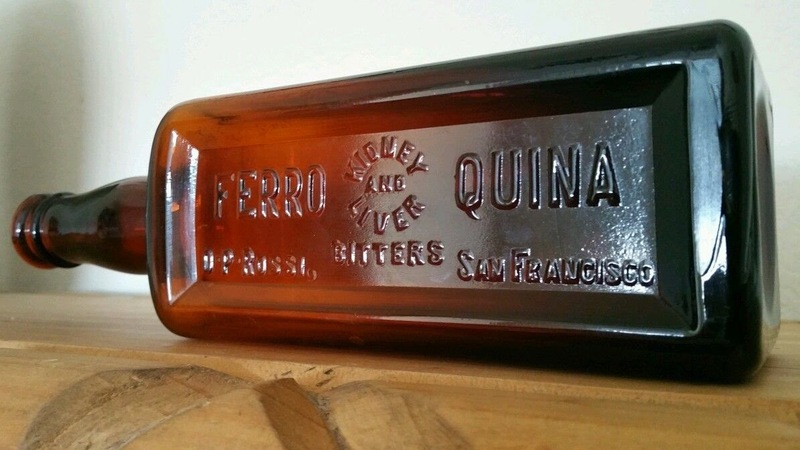 A rare variant of the Ferro Quina bitters that just ended on ebay literally just about broke the bank. 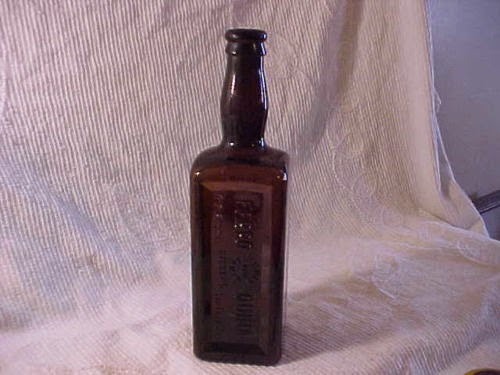 Two or three bidders were slugging it out to put this possible unique bottle on their shelf. 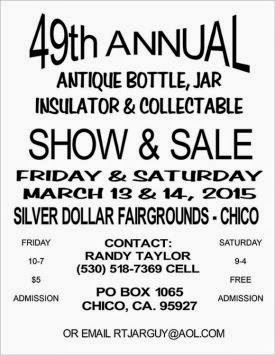 Time to start thinking about 2016 shootout , Three items a whiskey a bitters and a ?? Give me your thoughts .